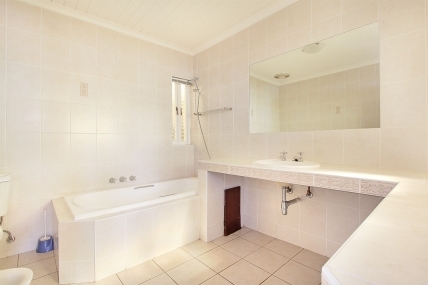 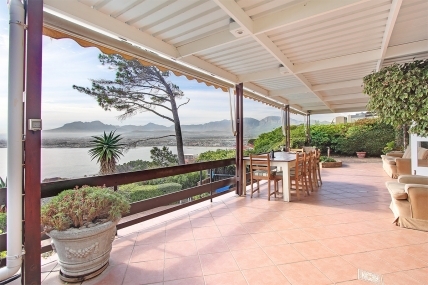 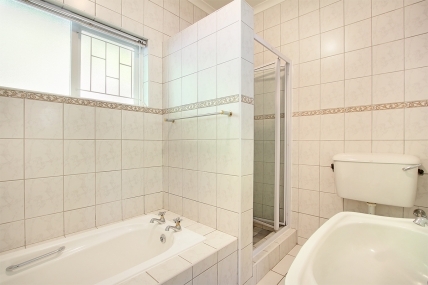 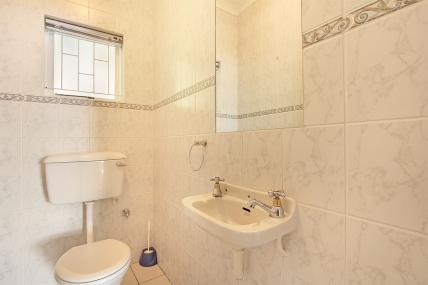 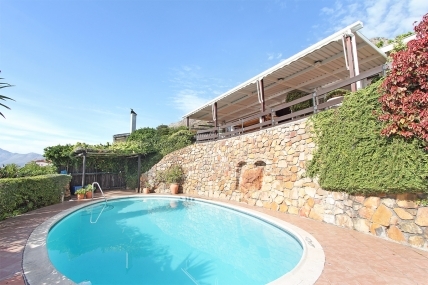 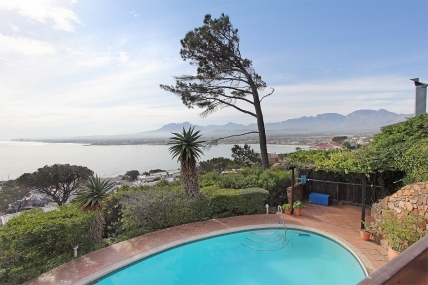 Unveil the unsurpassed beauty of False Bay in this gorgeous 4 bedroom ocean-facing villa, located in the lovely coastal suburb of Gordons Bay. 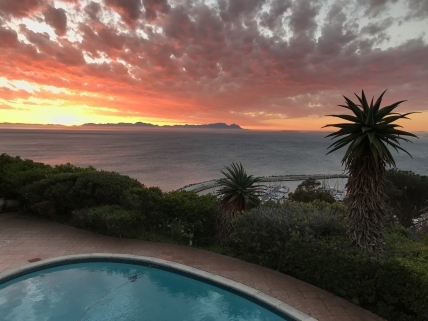 Positioned to showcase the outstretched Atlantic Ocean and some of the most spectacular sunsets, this self-catering Airbnb villa allows travellers to enjoy an authentic and memorable time. 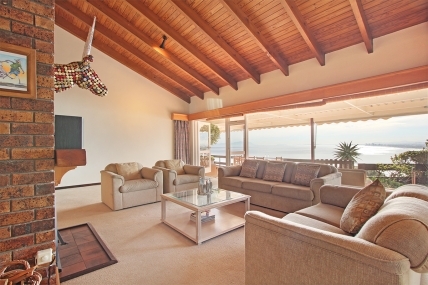 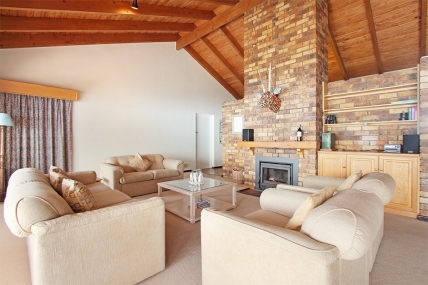 With its spacious interior, large rooms and wide windows, this holiday villa lets in plenty of natural lighting throughout the day, while also inviting the fresh ocean air inside. 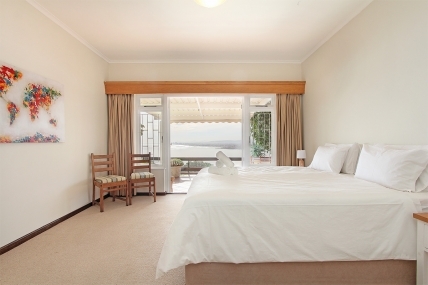 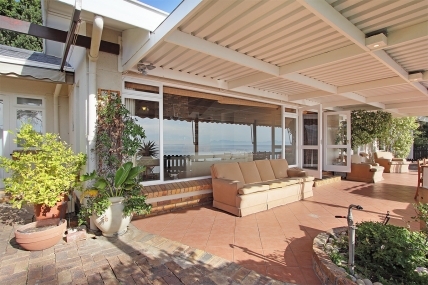 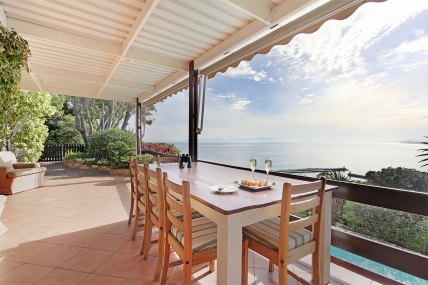 The expansive balcony is great for late afternoons or early mornings spent entertaining friends, with uninterrupted views of the ocean and Gordons Bay harbour. 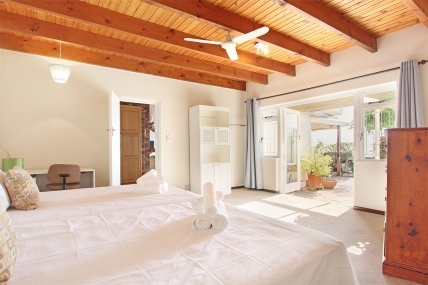 The living areas have high ceilings and plenty of comfortable seating but it is the views, which can be admired out of the floor to ceiling swing doors, which really elevate the holiday atmosphere of this lovely home. 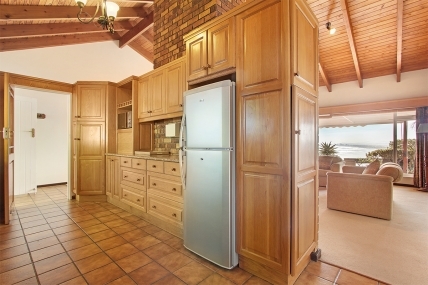 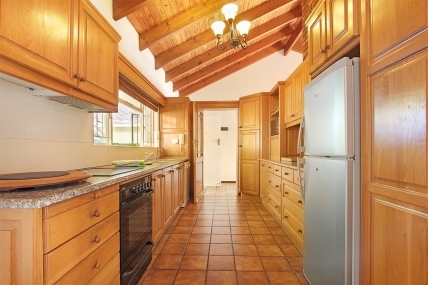 Visitors can also make use of this villa’s fully-equipped kitchen, and connect to the complimentary uncapped Wi-Fi during their stay. 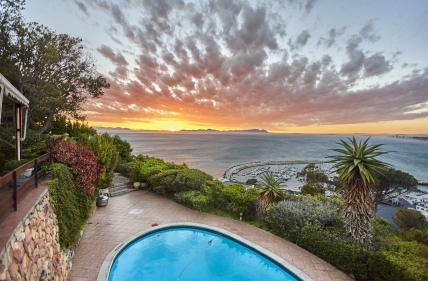 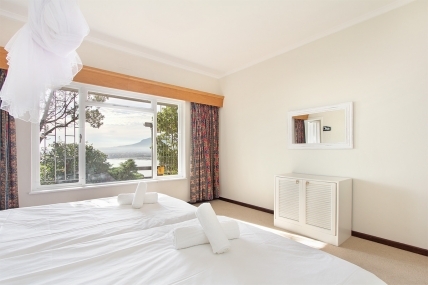 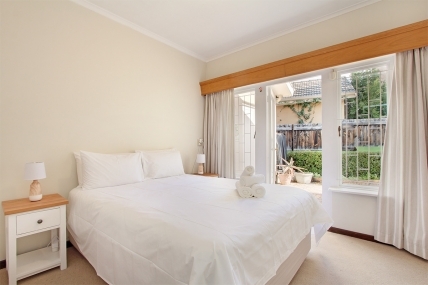 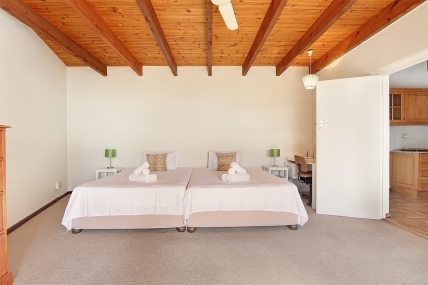 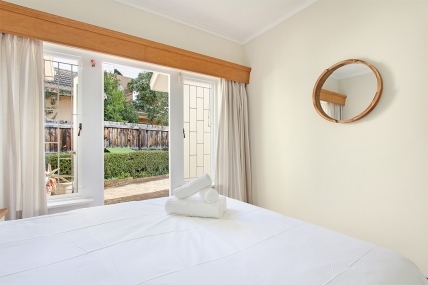 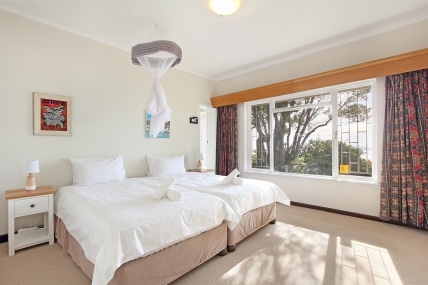 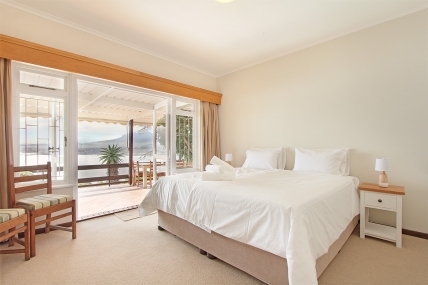 While staying here, guests will be spoilt for choice and can embark on adventures in and around the greater Cape Helderberg area, with the city centre of Cape Town less than an hour away. 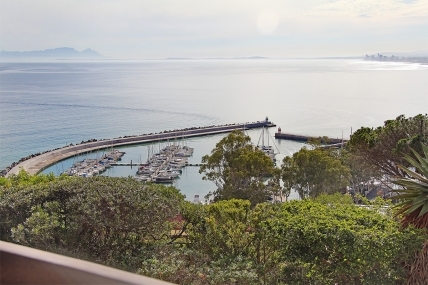 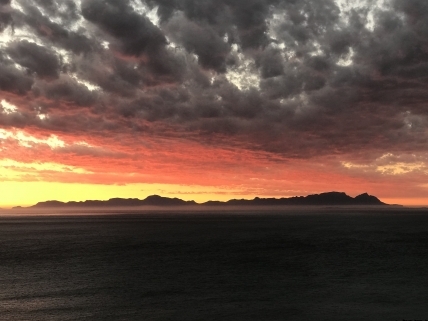 Gordons Bay is home to a fantastic selection of attractions that include the incredibly popular Bikini Beach and, for nature lovers, Steenbras River Gorge and the Steenbras Lookout Point are perfect for hiking and outdoor adventures. 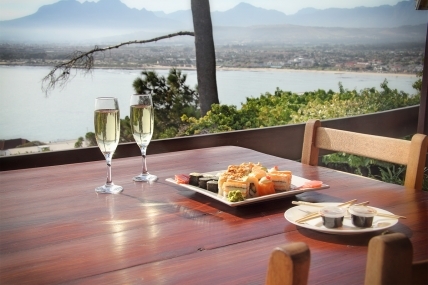 There are also a variety of restaurants located in the area, serving excellent cuisine. 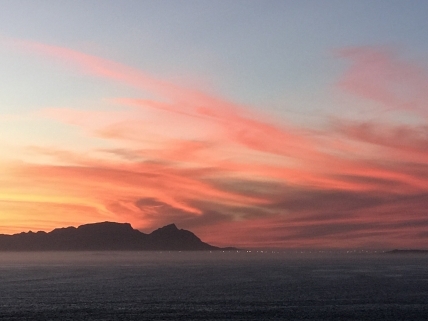 The neighbouring suburbs of Strand and Somerset West are also home to a variation of unique things-to-do and some inspired restaurants and attractions that include wine tasting, shopping and animal encounters.